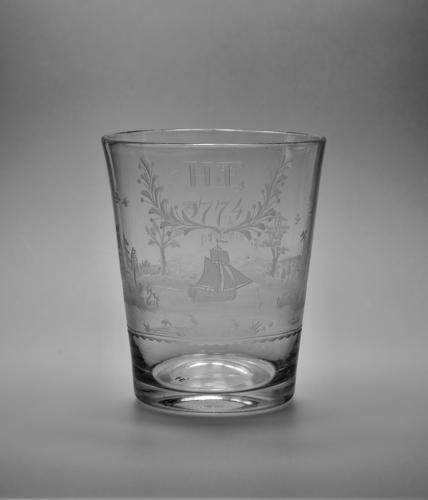 Rare straight sided tumbler engraved with a continious land and sea scape. Images include a sailing ship, rowing boats, sea birds, castles and a tower. The intials H E above the date 1774 within a simple floral cartouche. Polished pontil to base. English 1774.